You’ve all seen them in the Hallmark stores. The cutesy black and white photograph cards with the little kids all dressed in grown up clothes doing some quirky adorable pose. Well, I wanted to learn to do that. It seems simple enough, and well it is. You can take literally any color photograph into Adobe photoshop. One step here, another there and all of a sudden you have a black and white photo with splashes of color. I realize that I just over simplified the whole process but this isn’t about giving you a photoshop lesson. I just wanted to show you how much fun it can be. 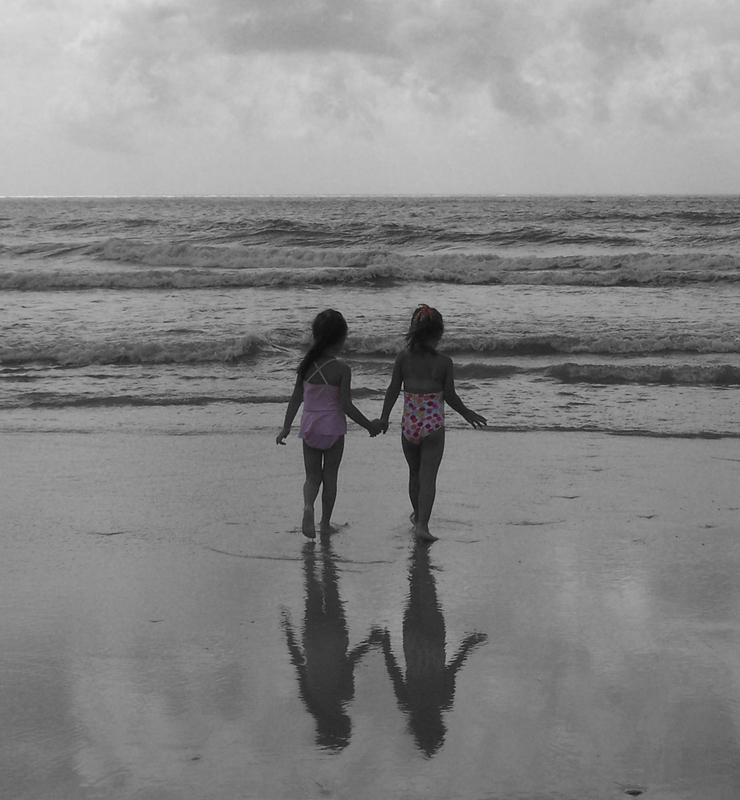 The first photo I retouched was of my youngest daughter and her friend at the water’s edge of Carolina Beach in North Carolina. The sky was slightly overcast and the water was vibrant at all. This particular photograph of actress Elisabeth Shue was scanned many years ago from , I think, US Magazine. I felt that the picture would be better served if you focused more on the colors of the flag than the actress herself. This photograph was more of a chance since I saw the artistic value of a touching scene and wanted to quickly capture it. 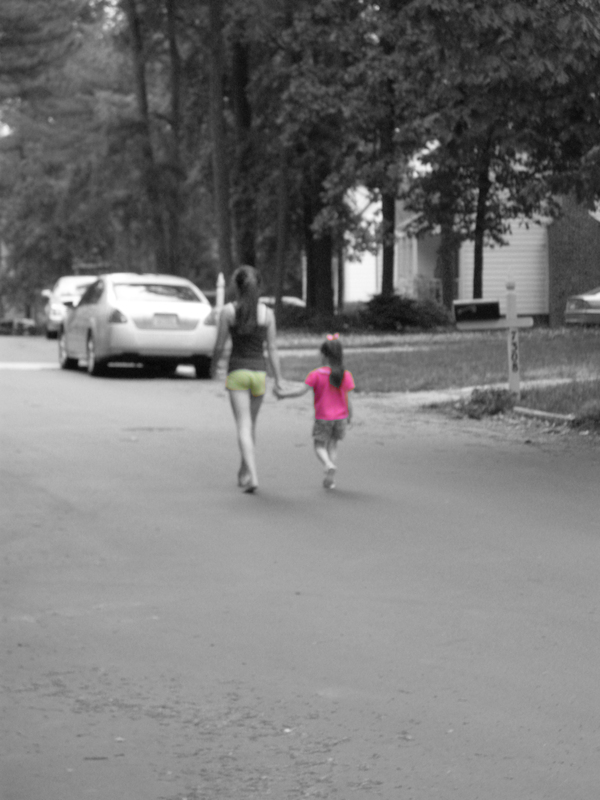 Unfortunately, those cars were in the frame and I decided to turn it into a black and white photo with contrasting opposite colors on both of the girls. Subjects are of my youngest daughter and of my neighbor’s youngest daughter. This last photograph was taken at the 2009 Airpower of Goldsboro Airshow. It featured the Navy’s Blue Angels demo team and vast assorted other aircraft. 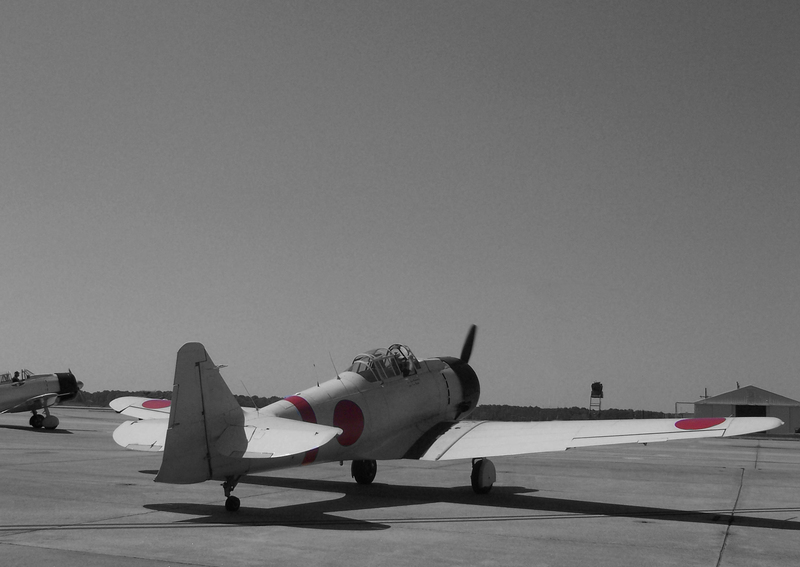 One of the features was a reenactment of the Japanese attack of Pearl Harbor on Dec. 7th 1941. Using old AT-6 Texans heavily modified to look like Zeros, Kates, and Vals, they put on an impressive show. I was able to be right next to the tarmac as they warmed their engines and taxiid out to the runway. It was an impressive sight. Although, I took countless photos of this event, I chose to turn two photos into black and white with a splash of color. The first is of a Japanese “Zero”. Although you can’t tell, to give it more of an old time feeling, I photoshopped some elements of “modernism” out of the scenery. This last photograph doesn’t even begin to tell you how giddy with excitement I was. This is a Boeing B-17G Flying Fortress medium bomber. 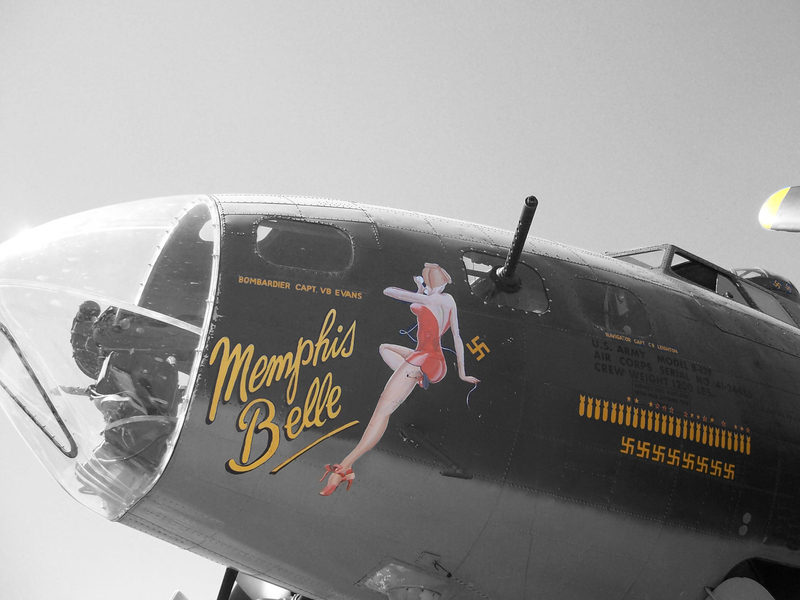 It is NOT the original Memphis Belle. However, it was used in the motion picture,”Memphis Belle”. What makes this the most exciting thing about all of the airshows I have ever attended, was the fact that I got to go inside it. This was a piece of history and I was so beside myself I couldn’t stop grinning and taking pictures. The top ball turret, side guns, radio ops station, cockpit, tailgun and to walk though and feel how this was actually a small aircraft. Wow. Anyway, that’s just a few of the photographs that I have turned into black and whites. I hope that you’ve enjoyed it. Semper Fi! Eastofeton's Blog syndicates its weblog posts and Comments using a technology called RSS (Real Simple Syndication). You can use a service like Bloglines to get notified when there are new posts to this weblog.